According to my straight-talking daughter, accessories rock – full stop. I tend to agree, and if there is one accessory we love above all others it’s a great bag. Mum-founded company Milk Dot brings us a collection of backpacks that are irresistibly cute and designed to appeal to kids of all ages, giving them the longevity we parents love in kids’ gear. 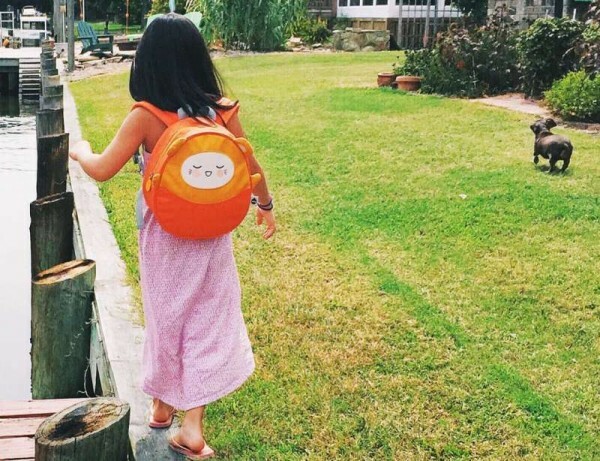 From tot to teen, Kawaii Pac Mini Backpacks are fun, funky and totally loveable. Kawaii Pac Mini Backpacks come in four adorable characters, each with its own story and groove. There’s Charlie the performer, Fang the Ninja-wannabe, Lola the sweet daydreamer, and my hands-down favourite, Remi, who has a weakness for food and a ‘stache that means business! Each backpack is about 30cm x 25cm, which is ideal for day care and kinder kids, but also serves as a practical bag for school-aged kids. They have adjustable straps, plenty of padding for a comfy fit and are free from any nasty chemicals. Head over to Milk Dot to shop the range of Kawaii Pac Mini Backpacks. Each backpack is US$29.95 with shipping available to Australia.